A man named James Taylor White settled on Turtle Bayou as early as 1827 and by 1840 he was joined by other families who saw potential along the banks of the the stream. A post office called "John's Post Office" was in operation from the late 1840s through 1859, An attempt was made to promote a community called: "New Boston," but it came to naught. The voting precinct at Turtle Bayou was nearly as large as Anahuac's in the 1850s. Submerged artifacts indicate that Turtle Bayou had once had significant traffic there - separate from the well-known early ferries. From a population of just 29 people in 1880, Turtle Bayou grew to 127 by the time of the 1900 census. 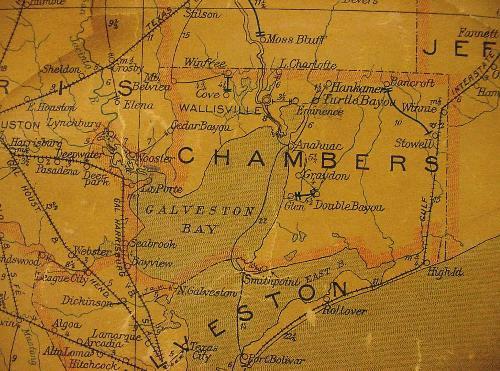 After the post office was closed, the population declined, but the discovery of oil in the mid 1930s renewed interest in the area and an oil field (named Turtle Bay) had set up a camp there. 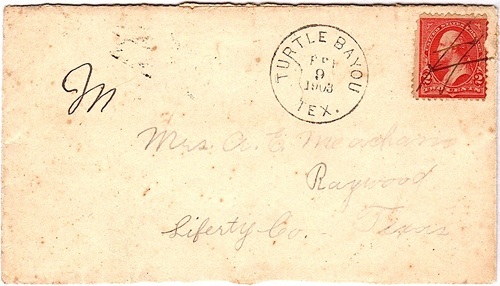 Later in the 1950s, another field (named Turtle Bayou) was discovered. In 1939 when the population was around 100, a sawmill opened up but for most residents, life was set a comfortable (slow) pace. By 1970 there were only 42 residents and the waters of Turtle Creek were still the most prominent feature of the landscape. White's Park, named to honor the original settler, includes most of what was once the Turtle Creek site. The population remained at 42 for the 2000 census.